HURRAY!! She’s back at last! Thank you for making my day, Matilda! 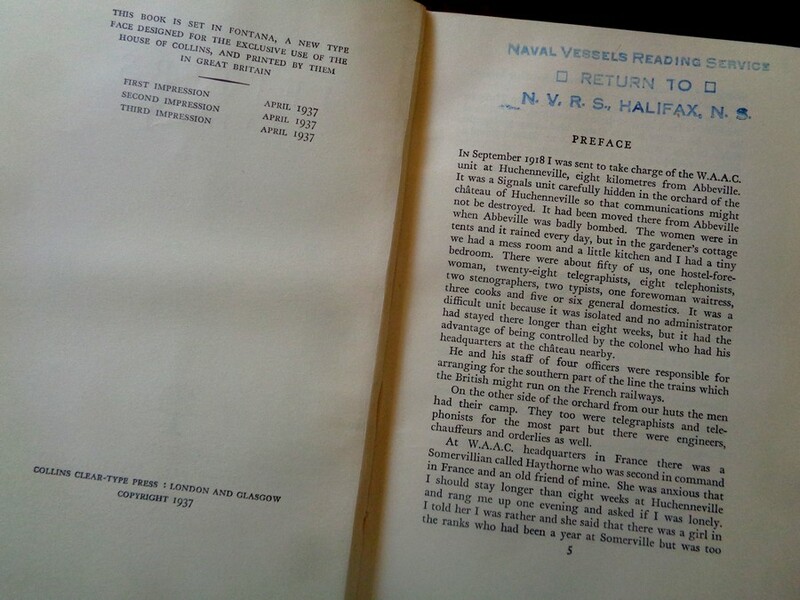 My father was stationed in Halifax when he met my mum in 1950 and I remember he said he loved to read at sea. I always wondered what he read and so forth. How did he get books? Did he have to pack his own? And now you’ve (sort of) solved that little puzzle. Though I don’t ever remember him mentioning Winnifred Holtby. I did suggest Vera Brittain’s Testament of Youth once, during a discussion of pacifism, and he sort of grunted. I’m glad you mentioned it. The world is rich with details like this one.